Round Bead w/Lanyard - Spyderco, Inc. 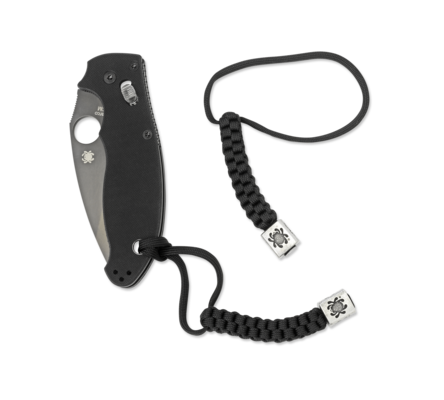 Page 790 – Spyderco, Inc.
Lanyards and fobs are a popular way of spicing up folding knives and making smaller knives easier to access and draw. 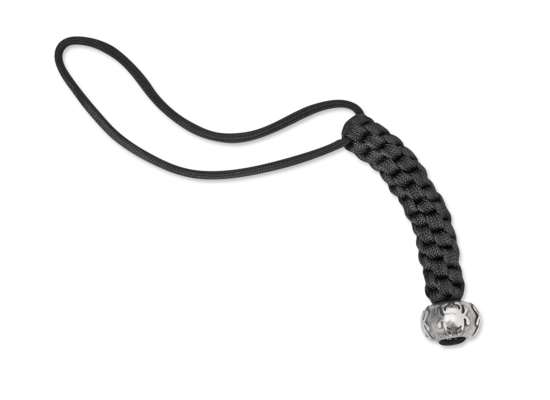 This handsome 7-inch lanyard is hand crafted from nylon parachute cord and features a round-weave pattern and a round Spyderco bead. Cast from genuine pewter, the bead proudly displays Spyderco’s iconic “bug” logo on four sides.